If you’ve read any of my previous articles before, you will know just how much I love talking about baseball bats and I’m super excited for you to have a read through this. In this article, I have spent countless hours testing and researching little league baseball bats to see which actually have the best pop and will help their development as they progress through their career. Just like BBCOR baseball bats and T-Ball bats, you have cheap lower end options and top of the range premium bats for youth players. 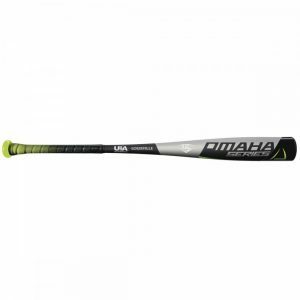 So, you are probably wondering how much you should spend on a youth baseball bat? Obviously, you have the old argument that you get what you pay for right. Well, in my opinion, this is not always the case and especially with youth players. There is no point spending $200 on a bat if you are unable to hit the ball or have a decent swing. As the old saying goes “A $500 bat doesn’t fix a $5 swing.” You need to be fairly decent if you are thinking about investing in the top of the range options and there’s no doubt that a good baseball bat increases the effectiveness of a well hit ball. Also very important is that you will outgrow your baseball bat, I find youth players usually get a season or two, at most, out of their bats. So the question really is do you want to be investing $200 every season or two on a new bat as they continue to grow. Luckily, you don’t always need to spend a lot for the best quality bats. All it takes is some digging around and hopefully, through my research in this article, I’ll be able to find you some really good options that make good financial sense too. 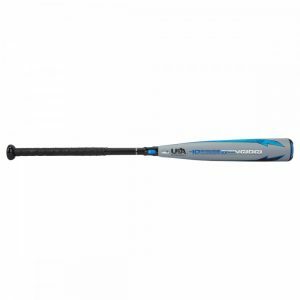 The 2018 Louisville Slugger Omaha 518 comes with the 2 and 5/8 inch barrel diameter, a drop three lengths to weight ratio, and the BBCOR certification making it approved for play at both the collegiate and high school level. The Omaha 518 has a one-piece aluminum alloy design that provides players with a more durable and stiffer piece of metal. It is made up of Louisville Sluggers ST 7U1+ alloy that will give you a massive sweet spot with a stiff traditional feel on contact. 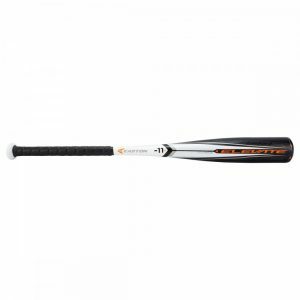 The Louisville Slugger Omaha 518 features a six star premium performance end cap which helps to improve the balance on the other end of the barrel and reduce unnecessary weight towards the end. Louisville Slugger has applied their custom lizard-skin grip which is extremely comfortable and helps eliminate all stings in the hands. 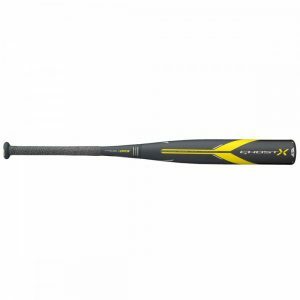 This is the perfect bat for intermediate players looking for a durable one-piece baseball bat with a balanced feel. Verdict: Great bat for the price that you pay for! I must say right now, this bat is head over heels above the rest in terms of all round performance. You will get awesome pop off it that will just fly off the bat. The Marucci Posey 28 has maple wood cosmetics that look exactly like Buster Posey’s game day model but it performs and is constructed exactly like the Marucci Cat 7. 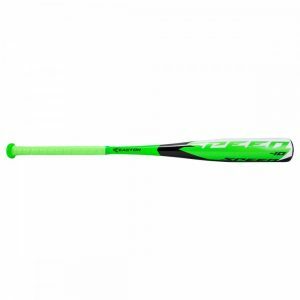 This bat has two drop three lengths to weight ratio, a 2 and 5/8 inch barrel diameter, and it comes with the BBCOR certification for high school and collegiate approval. This model is a one-piece aluminum alloy design. It is made up of Marucci AZ 4x alloy which is going to give you increased strength with an awesome sound on contact. With a balanced swing weight and an optimized barrel design, this bat will give you a huge sweet spot with increased swing speeds. Marucci has applied their ring free barrel technology which will guarantee you no dead spots. Verdict: Great wood bat with pop! Personally, I’ve always loved wooden bats especially because of the smaller sweet spot. If you can smash it with a wooden bat, your hit with a metal or composite bat improves massively. This one has such awesome balance and feels light in your hands for a great swing. The new 2019 Easton Elevate drop 11 USA approved baseball bat is a one-piece alloy bat that utilizes some top-of-the-line alloy in place at Easton’s disposal. It is an excellent option for a young player looking for a very controllable model they can utilize in USA sanctioned play. This bat has a very large barrel, a two and 5/8 inch barrel in diameter so it will provide an excellent area of surface contact to allow for a player to make optimal contact. It has a built-in cap that helps balance out the overall swing profile giving a player a better chance to make quality contact by being able to control that bat all the way through the zone. Now, the downfall with one-piece aluminum bats is that it is much like a pan that’s dropped in a kitchen. On contact, it sits there, and it rattles and you get those vibrations all the way down to your hands. Also, it stings and it makes a player more timid each time they make contact. To combat this, Easton utilizes a thicker bat grip that will create more of a barrier between your hands and those negative vibrations. Verdict: Good weight and pop! Another new great quality bat for 2019 from Easton that makes use of some top of the line alloy. Feels so lightweight in your hands and you can definitely feel the good balanced swing profile that Easton mention. I’m also a huge fan of the bat grip on this, very comfortable in your hands. 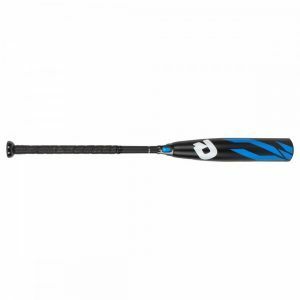 The Easton Speed youth baseball bat is a one-piece alloy bat that is durable and lightweight. To combat vibrations creeping down into your hands, Easton has provided a bit more padding on this particular traditional grip to hopefully protect your hands. It features a cushioned flex grip that provides additional comfort. 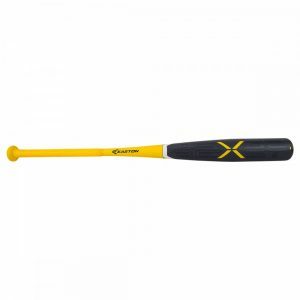 This bat is extremely balanced, and it is easy for any player that’s comfortable in swinging a baseball bat to control. Furthermore, it has a concave end cap that helps reduce some of that unnecessary weight and it distributes it evenly throughout the profile of this bat. It is approved for play in associations and leagues that follow the USA Baseball standard. 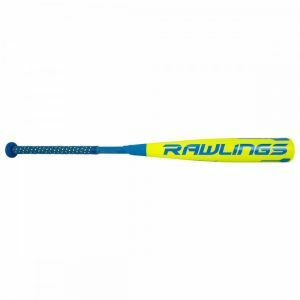 The Rawlings Y24W youth ash baseball bat features that skinny 2.5 inch barrel diameter, a drop seven and a half lengths to weight ratio, and a balanced swing weight which is great for those younger players looking to increase their bat speed. This model is crafted out of an ash wood which gives you great flex and unbelievable balance. Rawlings has also cupped out that barrel end to ensure a harder piece of wood for greater pop. On the other end, they have pre-wrapped that red, white and blue Vulcan bat grip which improves bat control and helps eliminate sting to the hands. The Easton Beast X features Easton’s attack alloy and a new advanced thermal alloy construction that provides incredible power and strength. It features the extended barrel design combined with an alloy that delivers one of the biggest sweet spot in the game. The new Beast X 2 and 5/8 inch is available in a balanced hybrid two-piece – 10 speed, one-piece – 10, and loaded one-piece – 8 and – 5. The Beast X USA bat meets the new 2018 USA bat standard and is approved for play in Pony Baseball, AABC, Dixie, Babe Ruth & Cal Ripken. The end loaded design of this bat offers a heavier swing weight that provides players with more mass behind the ball at contact. It features an alloy handle wrapped with Easton’s Hyperskin to provide players with an effective and comfortable grip at the plate. The Easton Beast X is ideal for any competitive player looking for an end-loaded bat with an extended barrel. The 2018 Rawlings Quatro drop 10 USA baseball bat comes with the 2-piece all composite design. This bat features Rawlings patented hinge system that gives players the perfect combination of performance, flex, and balance. It has the barrel, and the handle fused together at the connection point. The handle is also wrapped with a lizard-skin grip which many people love. It has a fiber carbon composite design that offers players’ high performance and durability. The end cap on the Rawlings Quatro helps to reduce the swing weight, allowing the player to get through the zone faster. It features a vibration dampening technology (VDT) that helps to create a smooth feel at impact. The flex handle/barrel design helps to accelerate speed through contact. This bat is perfect for any competitive player looking for a balanced 2-piece bat with a large barrel. The new 2019 DeMarini CF Zen drop 10 USA baseball bat is a multi-piece fully composite bat that will provide the most controllable and comfortable bat available on the market. This is a USA certified bat that is approved for all leagues that require that USA certification. This is a multi-piece composite model with a composite barrel, three-piece fusion connection piece, and a composite handle. So overall it will break down the vibrations really well. The DeMarini CF Zen baseball bat uses Para-Flex plus technology that provides the most optimal barrel and flex available on the market. Furthermore, the 3Fusion technology also has an end cap that helps optimize the overall sweet spot of the bat. It also gives players a better feel and a more precise weight distribution in the barrel when making solid contact. This bat is an excellent option for any player out there looking for a fully composite model. The DeMarini Voodoo balanced bat has an alloy barrel composite handle design which makes it perfect for stronger players in high school or college that prefers that unloaded feel. It comes in three sizes – 32, 33, and 34. The three biggest sizes will carry X 14 alloy which is their strongest aluminum bat and also have a new powerful X+ composite handle. It has 3Fusion end cap handle which will take vibration away from the hands and move it into the barrel creating a nice durable high-performing bat. The Rawlings Raptor youth baseball bat comes with a standard 2 and 5/8 inch barrel diameter, a drop eight lengths to weight ratio, and that USA baseball certification making this bat approved for play in Dixie Youth little league, Babe Ruth & Cal Ripken, AABC, and Pony. The Raptor is a one-piece all alloy construction, and it is made up of Rawlings durable performance alloy which will give you hot out of the wrapper performance with great durability. On one end, they have used a perimeter weighted end cap which is going to reduce unneeded weight towards the end of that barrel to give you better balance and faster bat speed. On the other end, they have pre-wrapped a custom bat gray which will help to reduce shock to the hands that are typically associated with a one-piece bat. 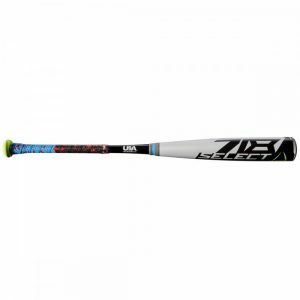 The Louisville Slugger Select 718 also comes with a drop three lengths to weight ratio, a 2 and 5/8 inch barrel diameter, and the BBCOR certification making it approved for play at both the high school and Collegiate level. The select 718 is a three-piece hybrid design, meaning it has an alloy barrel with a 100% composite handle. It also comes with a slightly and loaded swing weight that’s recommended for those power hitters out there. The barrel is constructed out of Louisville Sluggers ST 7U1+ alloy which gives you a massive sweet spot with great pop. The 100% composite handle comes free wrapped with a custom lizard skin grip. It is extremely comfortable and helps reduce sting in the hands. 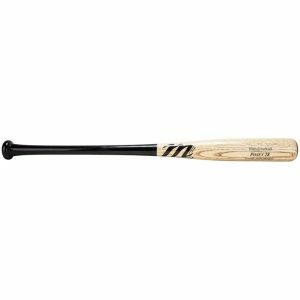 Between the handle and the barrel is Louisville Slugger’s patented True3 connection piece which helps to reduce vibration in the hands and give you one of the smoothest feels on contact. The 2018 Easton Ghost X comes with a drop three lengths to weight ratio, a 2 and 5/8 inch barrel diameter, and the BBCOR certified stamp making it approved for play at both the high school and collegiate level. The Ghost X is what’s replacing the Mako Beast, and it is a two-piece fully composite design. It is constructed out of Easton’s newly developed exact carbon composite material which gives you consistent performance with long lasting durability. The latest feature for the 2018 season is called the dynamic feel system that combined with the patented connection plus technology. This will give you best-in-class fuel on contact with next to zero stings in the hands. It features Easton extended barrel design which gives this bat the longest composite barrel in baseball. On the other end, Easton has pre-wrap their 1.4 millimeter hyper skin grip which gives you great comfort with awesome control through the zone.